Southeast Oregon's vast Harney Basin is a mosaic of productive ranchlands and wetland habitats, with Malheur National Wildlife Refuge at its center. The basin provides critical stopover and breeding habitat for millions of migrating waterfowl. Nine years ago four Harney County ranchers invited the accredited Wetlands Conservancy's Esther Lev to talk with them about flood irrigation. 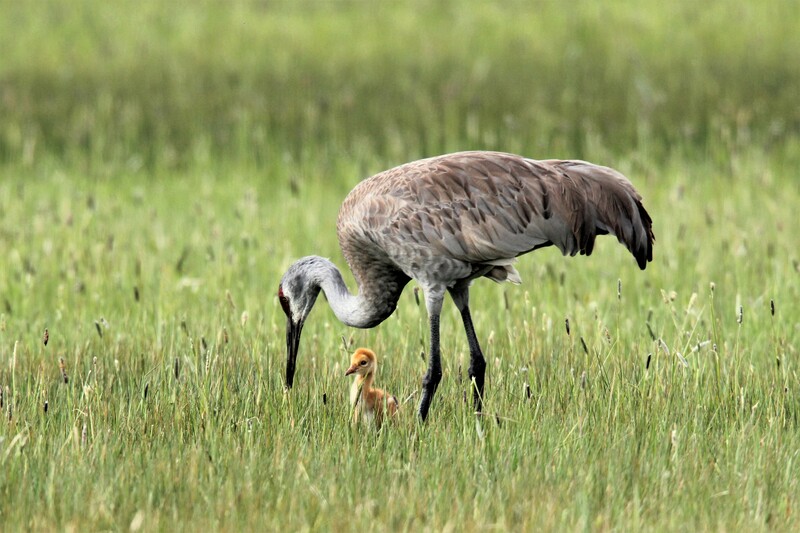 They quickly found a mutual appreciation of the benefits that spring flood irrigation provides to both ranching and the birds that rely on the arid region's fragile wetlands. As Esther and the ranchers dug a little deeper, they recognized a mutual love for all that the Harney Basin supports. The shared appreciation led to brainstorming responses to a changing climate and potentially diminished water supply. They shared their ideas with a diverse group of partners who had been working together on a collaborative Malheur Refuge Comprehensive Conservation Plan. While the partners do not always agree on everything, they all agree that a better scientific understanding of the natural dynamics in the basin will help both public and private land managers balance the need to provide waterbird habitat with ranchers' need for nutritious forage for livestock. There are now lasting relationships, built on trust, laying the foundation for some truly great things to happen in Harney County.